This sign is for CAT Bud and Quinn, in thermometer form. The sign’s colors are blue and yellow. 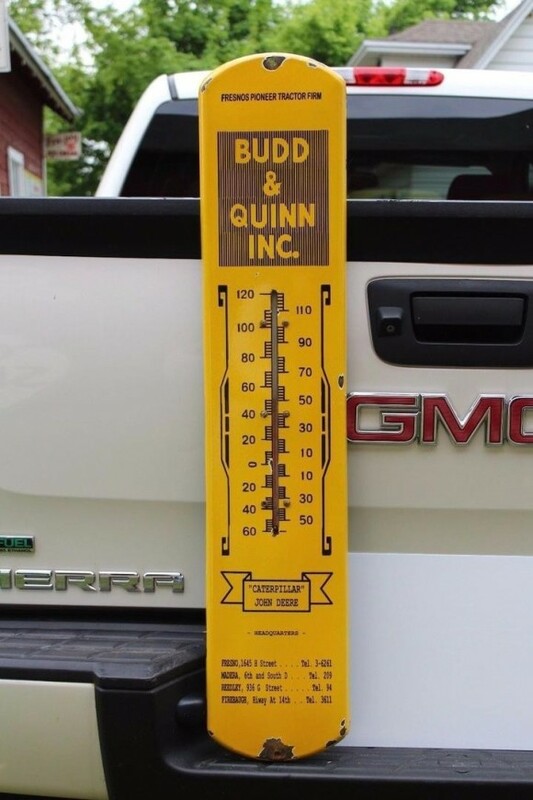 The text on the sign reads: Budd & Quinn Ince Caterpillar John Deere. The sign shows a thermometer with logos surrounding.